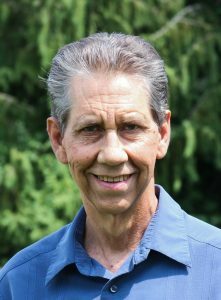 MUSKEGON, MI (April 5, 2019) — Retired Covenant pastor Russell “Russ” Carlson died Thursday, April 4, at the age of 63. He was born February 5, 1956, in La Mesa, California, to Arnold and Virginia Carlson. Russ earned a bachelor’s degree in cultural anthropology from the University of California – San Diego, and an MDiv from North Park Theological Seminary. He married Laurie Carlson on July 28, 1979. They served North Haven Covenant Church in Cuyahoga Falls, Ohio, and Forest Park Covenant Church in Muskegon, Michigan. Russ had hoped to serve as a missionary, but chronic liver disease led him to pastoral ministry instead. He underwent a transplant in 1987. He and Laurie wrote about the experience in the book Companions Through Crisis while he was serving at Forest Park Covenant. Russ retired from full-time ministry in 2012 due to worsening chronic health conditions. He served on the Covenant Executive Board and on the Board of the Ordered Ministry. He also coached pastors and helped direct PULSE, part of the denomination’s congregational vitality process. Survivors include his wife, Laurie; twin daughters Bethany Swann (Dan) and Emily Nagel (Dave); and a son, Ben (Nicole). Services will be held Saturday, April 13, at Forest Park Covenant Church in Muskegon.